After last weekend’s sweep of the Lindenwood Lions at home, the Badgers (4-0-0) looked to continue their success on the road against Mercyhurst (0-4-0) who finished last year No. 10 overall. Despite ending last season with a top 10 ranking as well as having a roster full of returning starters, Wisconsin was able to secure a weekend sweep of the Lakers with relative ease. 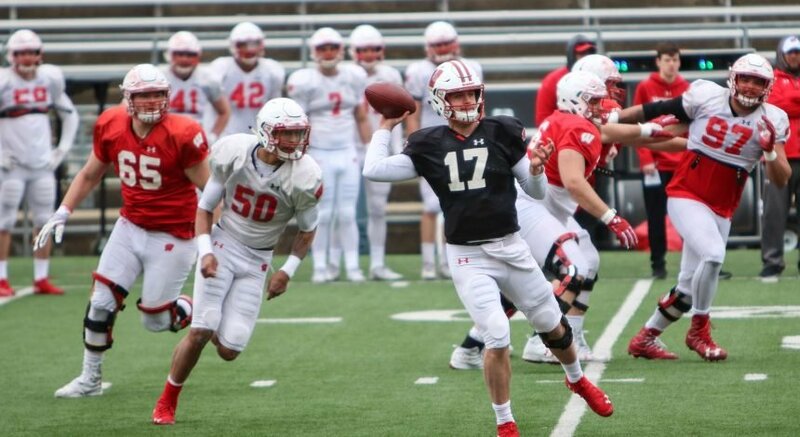 The Badgers took little time before jumping out in front of Mercyhurst during Friday’s game. Junior forward Abby Roque tacked on the opening two goals for the Badgers in the first period. Senior forward Sophia Shaver rounded out the first period by adding a third goal to the Badgers’ total at the 19-minute mark. The Lakers were scoreless in the first, and the Badgers began to run away with the game in an impressive fashion. Mercyhurst remained on their heels for the remainder of the game as Wisconsin continued the flurry of goals that began early in the first period. Senior forward Annie Pankowski opened scoring in the second period, giving the Badgers a commanding lead of 4–0 within the opening six minutes of the period. Mercyhurst was able to score one goal during the second — their only goal of the game. Finishing her hat trick early, Roque scored once again for the Badgers, making it 5–1. Freshman forward Britta Curl closed out scoring for the Badgers near the end of the third, making the final score 6–1. 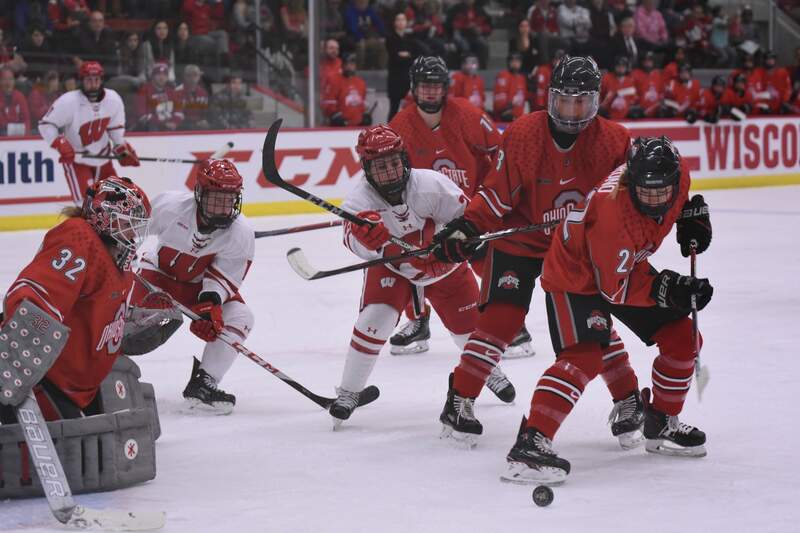 After an impressive opening to the weekend, the Badgers looked to once again continue their success into the second and final installment of the series against Mercyhurst. 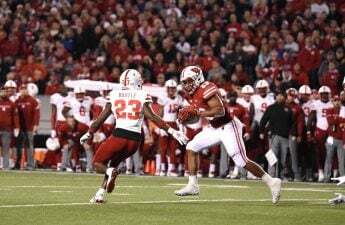 While the final score of Saturday’s game fell in favor of the Badgers, this result did not come without strife. The Badgers spent more than 10 minutes of game time tied with Mercyhurst at two goals apiece. Junior defender Mekenzie Steffen broke the stalemate though with a goal late in the first period to put the Badgers up 3–2. The second period of the contest was significantly less eventful than the first, as Pankowski scored the only goal giving the Badgers a confident 4–2 lead. But Mercyhurst did not roll over, scoring another goal in the middle of the third period to tighten the score at 4–3 with just nine minutes left to play. Thankfully, senior forward Sam Cogan put an end to all doubts with a last-minute goal in the third period of regulation. With a 5–3 win over Mercyhurst, the Badgers completed the away series sweep over the Lakers. 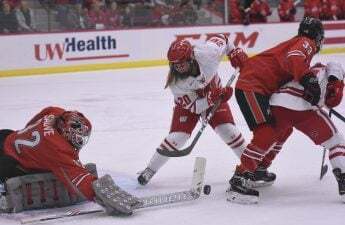 Sweeping such a talented team on their own ice was no small feat, and the string of victories the Badgers have accrued should give any fan confidence as they move into their biggest test of the season yet, No. 4 Minnesota-Duluth.